BestHomeSecurityCompanys.com (BHSC) Rep Builder® is an extensive program to help home security companies build and maintain their reputations both online and offline. Our team of experts are dedicated to helping businesses provide the most accurate picture of their company to consumers. We want to empower consumers to make the best decision and that starts with providing the most accurate representation of companies. BHSC does not charge for our service to help maintain the integrity of our site and efforts. We make every effort to cultivate an unbiased environment for both consumers and companies. 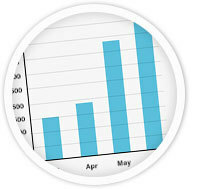 BHSC currently receives over 60,000 unique visitors each month. 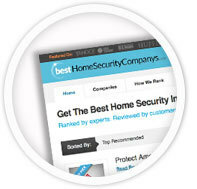 We are quickly becoming the largest and most credible home security review site on the web. 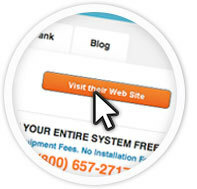 Unlike other web sites that tout millions of monthly visitors our site attracts consumers who are searching for home security products, information, and resources. Building and maintaining a reputation is an extremely important investment in today’s marketplace. We are a value-driven company and want to help others receive the most out of their investments. Our partners receive the manpower, tools, and resources necessary to achieve great returns in short amounts of time. We want to help you build the right kind of reputation; one that’s accurate and powerful. 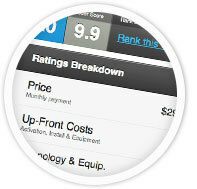 Other sites miss the mark by promoting “positive” reputation management and seeking to only receive perfect reviews and scores. The fact is, most consumers are savvy enough to see through that deception. We want to help you build a reputation that paints a clear picture of who your company really is both good and not so good. We help identify weaknesses and better yet, turn them into strengths. BHSC Rep Builder® is holistic in nature and seeks to build real reputations. We refuse to cultivate an environment that enables companies to cat fish (bait and switch) our community. We’ll help provide the tools and resources necessary to build a powerful and lasting reputation. Increase Your Sales & Traffic!